On 14 September 2015, Air India announced that they will ground 125 cabin crew if they fail to lose weight and reach the required Body Mass Index (BMI) range. According to TIME magazine, the airline claims that this is due to safety concerns, as they want to ensure the crew are fit enough to handle emergency situations. Male crew have to have a BMI of 18-25, while females are required to meet the range of 18-22. 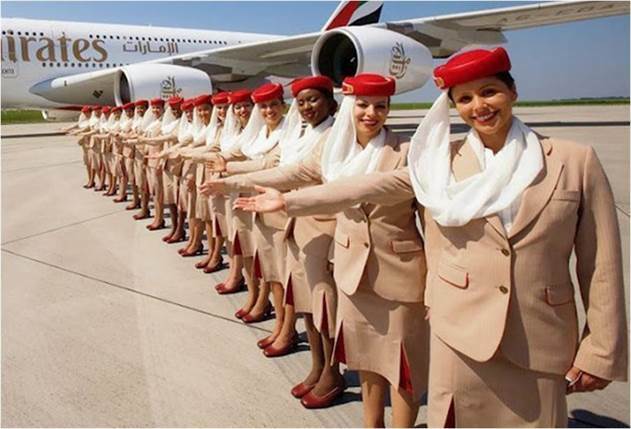 This follows the 2014 guidelines from the Indian Directorate General of Civil Aviation which states that overweight cabin crew have three months to lose weight or be declared unfit for duties for six months. A user @susmitsenn on migme, a social entertainment platform, was happy that the “fat aunties will finally be out and make way for sexier air hostesses”, however he was shocked they would be sacked for being ‘fat’. While Air India shapes up to meet safety standards, migme has put together a list of airlines with flight crew that are very fit— you know what we mean. Even though our list is not in order of merit, Emirates deserves to be mentioned first. They received unanimous votes in our casual poll in the migme office. 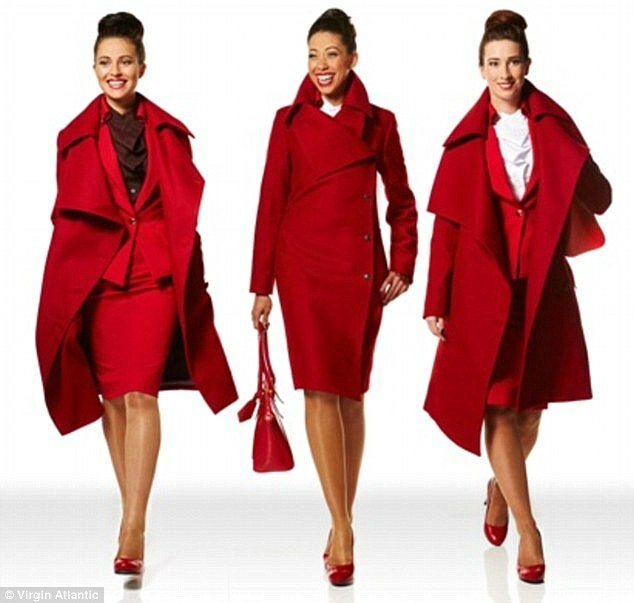 Their tagline “Singapore Girl, you’re a great way to fly”, while being somewhat sexist, is not entirely wrong as the airline prides itself on high service standards. Excuse me, I need to get an oxygen mask, because you take my breath away. You don’t need Vivienne Westwood to design your uniforms when you are looking like that. 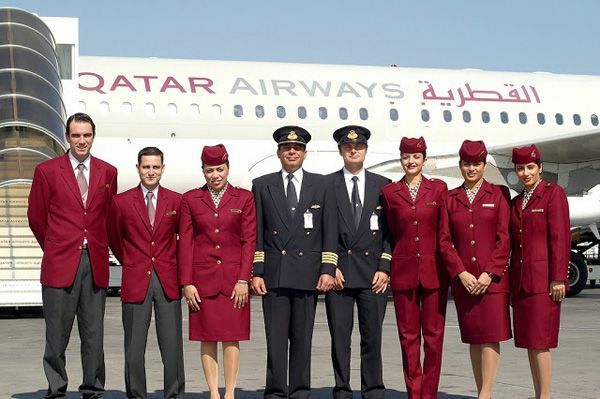 If there’s anything we’ve learnt from this list, it’s that the Middle Eastern airlines have a bunch of pretty good-looking crew. If you didn’t know the Chinese word for elegance, now you do. 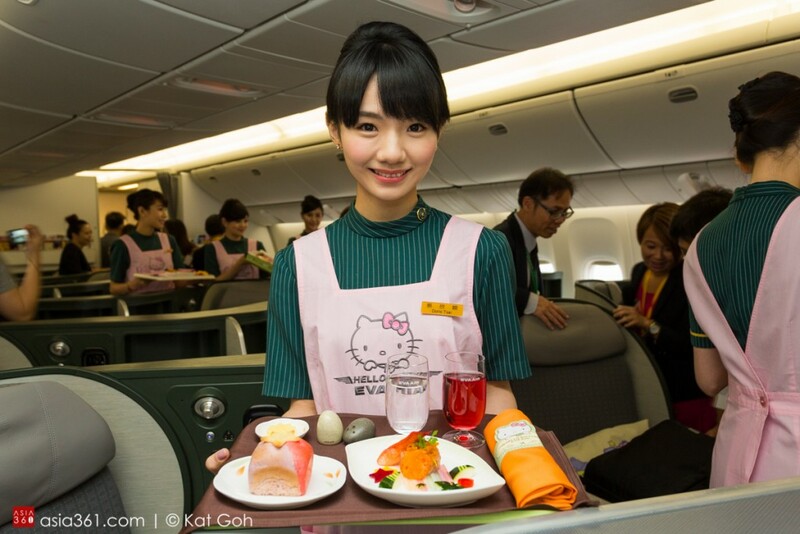 As if the Hello Kitty Jet isn’t cute enough, the crew members are all pretty darn cute too. Forgive me if I keep asking for assistance on the plane. I don’t really need water, I just want to look at your face. Does an electronic boarding pass mean we get to see you sooner? Checking in online right now. 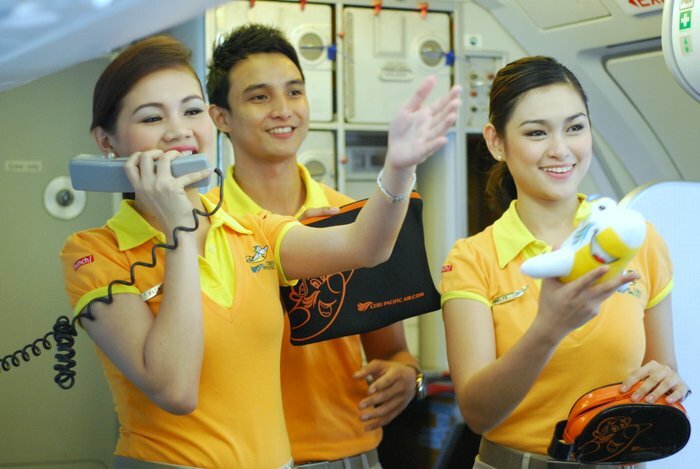 You’ve learnt a Chinese word already, so now we will teach you the Bahasa Indonesia word to describe the crew – ‘cantik‘. That means beautiful. Bright uniforms and an even brighter smile? You set our pre-flight jitters at ease. 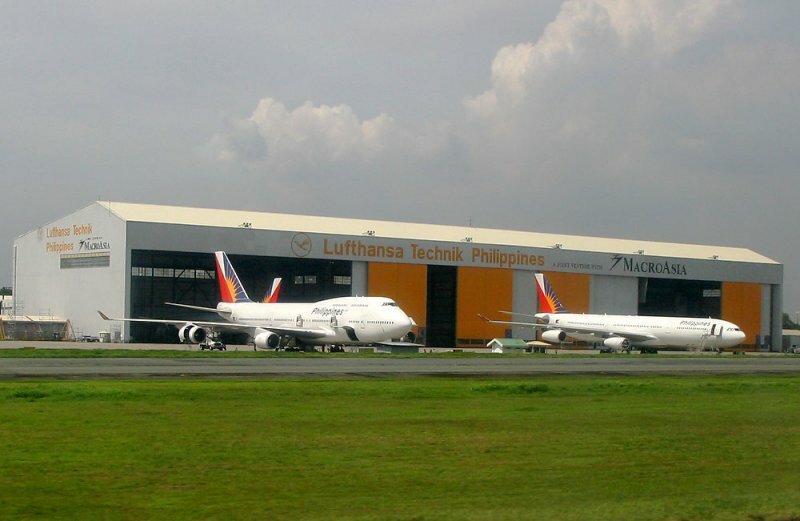 Manila, Philippines, 23 July 2015 – Lufthansa Technik Philippines’ (LTP) hangar expansion is on track, six months after the Manila-based aircraft maintenance, repair, and overhaul (MRO) provider broke ground in January to extend its main hangar. “With the rising opportunities presented by regional growth, we have been building up our capabilities. 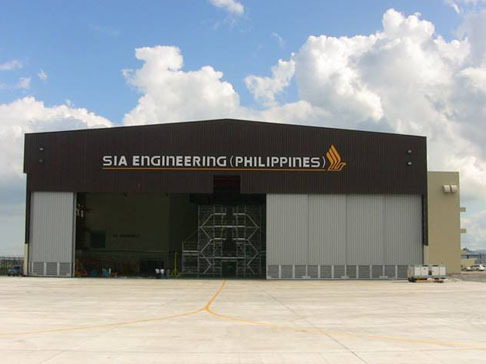 This hangar expansion project is the latest in our continued efforts to meet different aircraft requirements and stay competitive in the market,” says Dr. Burkhard Andrich, President and CEO of Lufthansa Technik Philippines. The construction expands two existing bays equipped with versatile docking systems that can accommodate current widebodies and newer models for the Airbus A350, Boeing 777-9X, and 787. This will also be LTP’s second line for A380 base maintenance and its entry into Boeing 777 base maintenance. The development is expected to expand the company’s yearly capacity by 200,000 manhours. Construction is on schedule at LTP’s facility by the Ninoy Aquino International Airport runway, with the foundation laid before the start of the rainy season. It is now in the process of erecting the extension’s refabricated steel structures, while construction and logistics for new and relocated offices, docking systems, linking bridges and mezzanines are concurrently taking shape. The facility’s MRO operations remain unhampered, owing to early preparation and smart planning. Furthermore, tooling and equipment have already started to be delivered for the facility’s new state of the art centralized toolroom. In preparation for LTP’s new Boeing 777 base maintenance capability and increased A380 capacity, extensive training for its highly qualified production staff is ongoing, in partnership with Lufthansa Technical Training Philippines. LTP’s hangar extension will be inaugurated this November, as it welcomes an Airbus A380 layover at the beginning of the month. The company’s Boeing 777 base maintenance capability will be available in the first half of 2016. MANILA – The country’s flag carrier has tapped Lufthansa Technik Philippines Inc. (LTP) for the maintenance of its Airbus aircraft. In a statement, Lucio Tan-led Philippine Airlines (PAL) awarded its two-year base maintenance service for its Airbus fleet to LTP. 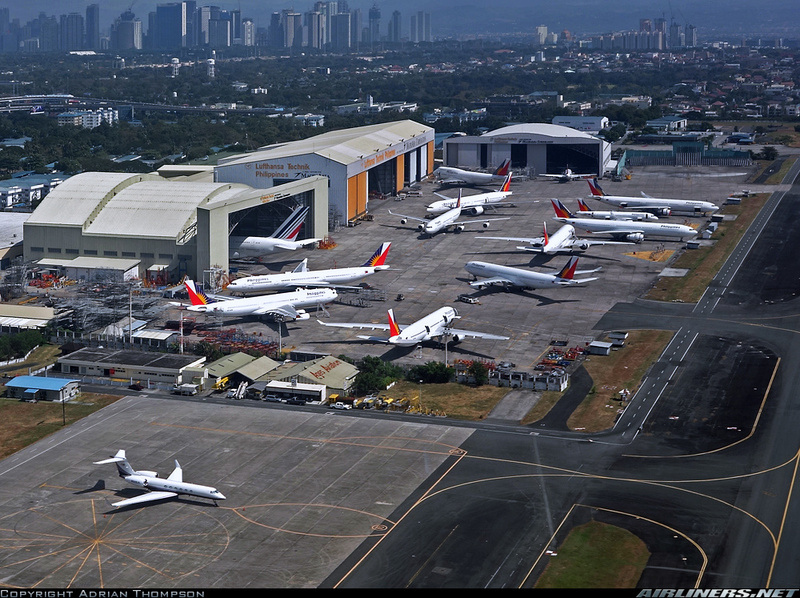 LTP will handle all heavy maintenance visits for the A320s, A321s, A330s and A340s for calendar years 2015 and 2016. PAL didn’t disclose the value of the maintenance services contract. LTP is also the line maintenance service provider for PAL’s Boeing and Airbus aircraft. At present, PAL has 73 aircraft, including six Airbus 330-300, six Boeing 777-300ER, 15 Airbus 321s, and several Airbus 320s. Earlier, PAL president Jaime J. Bautista said it “agreed in principle” with Airbus to delay the delivery of aircraft orders up to 2024. PAL had sought delivery by 2020. “This year, we should take delivery of 10 Airbus A321s, but we are working on a delivery of only five. So, the other 5 will be delivered sometime in 2020,” he said. Of the five A321s, two would be delivered in March, another two in April and one in June. The remaining 33 aircraft ordered from Airbus are scheduled for delivery until 2024. From July to September last year, PAL Holdings Inc posted a comprehensive loss of P192.3 million, down by 82.5 percent from P1.09 billion in the same three months of the previous year. Revenue amounted to P25.03 billion, up by 38.9 percent from P18.02 billion previously. 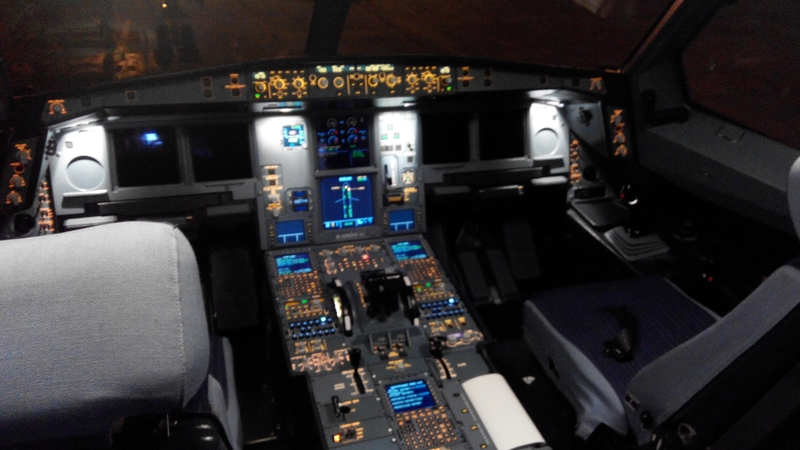 C-check of an Airbus 320.